My two oldest grandchildren are coming in August for their annual week-long stay with us. As many of my readers know, we always create a genealogy activity to do while they are here. 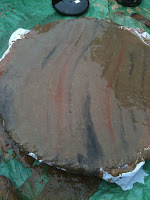 This year we've decided to create Ancestor Stepping Stones. These will be stones that make a pathway leading from Point A to Point B. We live on a 100 acre hobby farm and have lots of room to make pathways - in the vegetable gardens, in the gravel garden, from the back deck to the animal fields, from the house to the forest..... we can create dozens of paths if we want to. 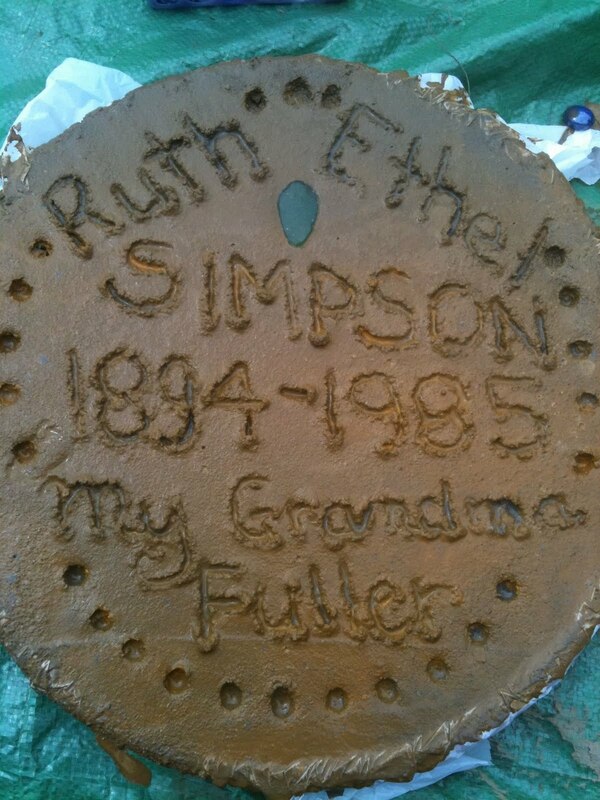 Our idea is that each Stepping Stone will have an ancestor's name as well as years of birth and death. Each child creates a stone for themself, then decides which parent they want to add. Because these are Ancestor stepping stones, the grandparent chosen by the child needs to be either the father or mother of the parent they chose. Their own stone should have their name and date of birth or age, plus the date they created the stone. They could add many different items - hand prints or perhaps a few words that best sums up their likes or explains who they are. For example one might put "Sally Smith, age 10. Bieber Fever!" Or little Sally might put "Sally Smith age 10. Love fashion & my iPod" It's their choice. Of course we'll talk about the ancestors for whom the children are going to create stones. We'll also talk about how they are leaving their mark and a bit of history for future generations by creating these stones. The first step is to buy clear plastic holders for plants. These will be our molds. Next my husband will mix the cement and pour it into the molds. We have powdered colours that can be added to the cement, so the grandchildren can also choose what colour they want each stone to be. It's going to be tricky to work on more than one mold at a time so I think we will likely create one each day they are here. 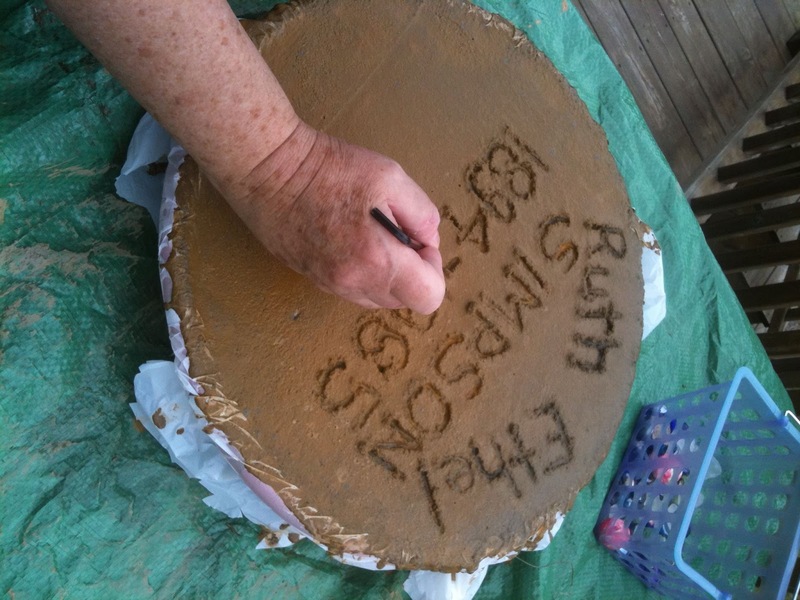 After waiting about an hour for the cement to partially set, the children will be able to write or print the name of the ancestor on their mold. Then they can add decorations such as coloured marbles or coloured glass, beads, etc. 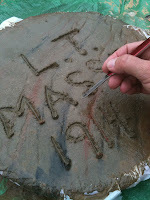 They can also use items to stamp designs into the mold or create them freehand. After the decorating is done, we'll let the cement set and then ease it out of it's clear plastic mold. By the time their visit is over they should have at least 5 ancestor stepping stones done and ready to be laid in the garden. We have completed a prototype ahead of time so that we know what we're doing when the kids are here! I think it's going to be a lot of fun, and I can also have my other 7 grandchildren create their paths when they come for a visit. A great idea! 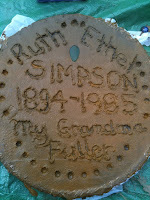 I hope you and your grandchildren have a great time with this project.